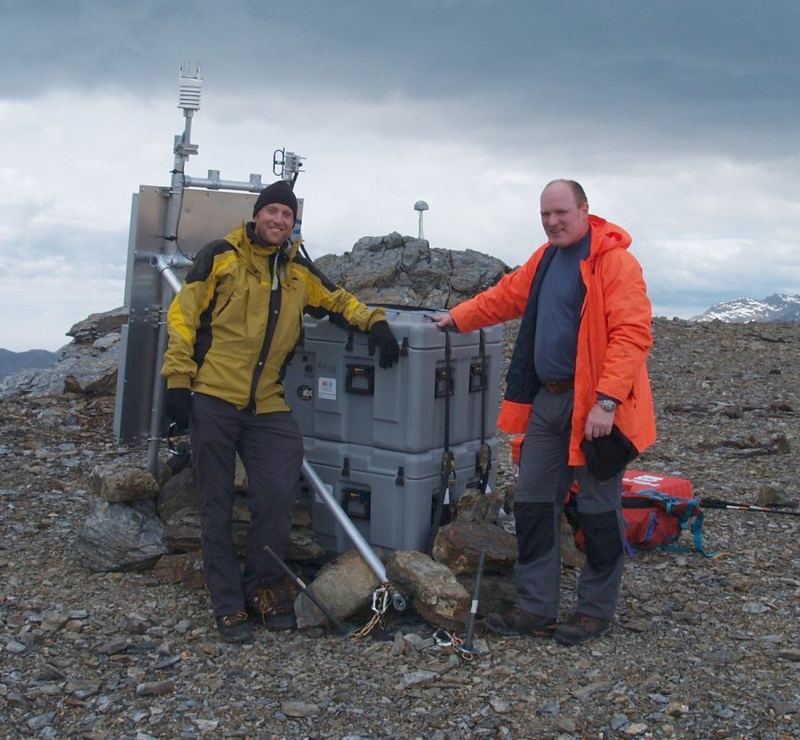 The first continuous GNSS station on South Georgia Island was installed in February 2013 as a collaboration between the University of Luxembourg, the British National Oceanographic Centre, the British Antarctic Survey, and UNAVCO. 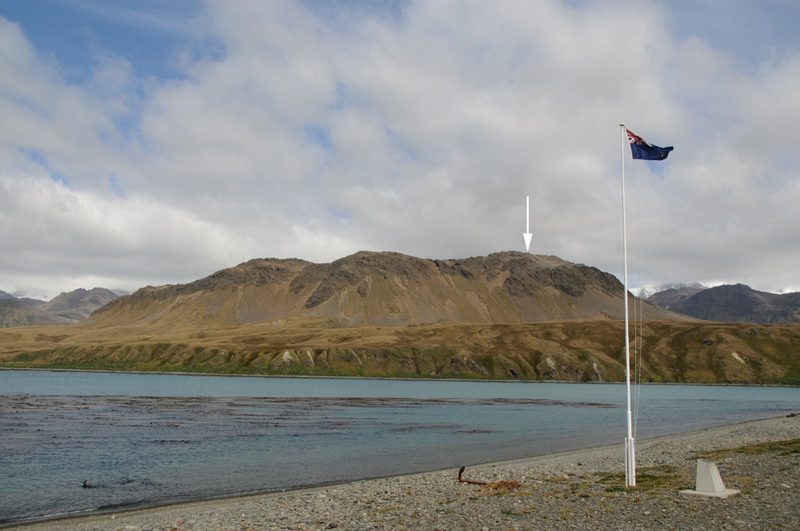 The field team visited King Edward Point (KEP) research station for one week. GNSS station KEPA was built at the high point of Brown Mountain, which offered the best sky view of any place accessible by foot. Station data is telemetered to KEP using a 900 MHz radio link, then retrieved by UNAVCO using the KEP VSAT connection. 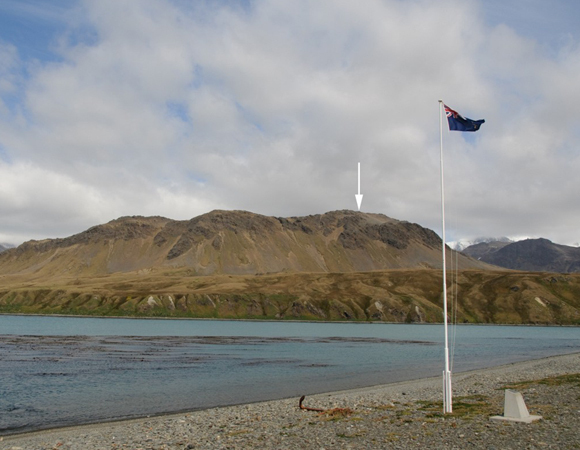 The station records GPS, GLONASS, and Galileo signals, and is powered using the standard UNAVCO Polar power station design with solar panels and rechargeable batteries. This project was funded by the University of Luxembourg, with station hardware delivered by UNAVCO. 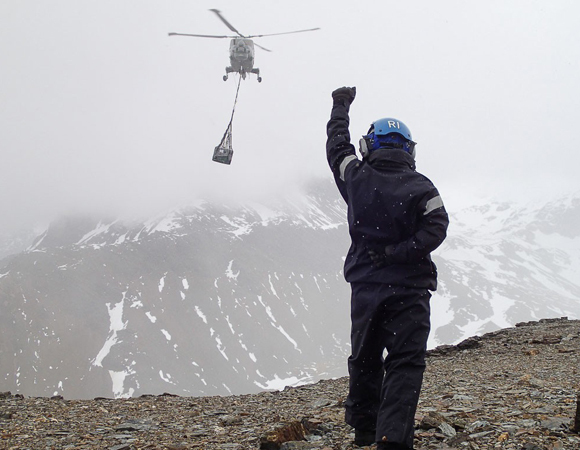 The British Antarctic Survey, the British Royal Navy, One Ocean Expeditions, and the crew of the fishing vessel Sil provided logistical support for this effort. Figure 1. 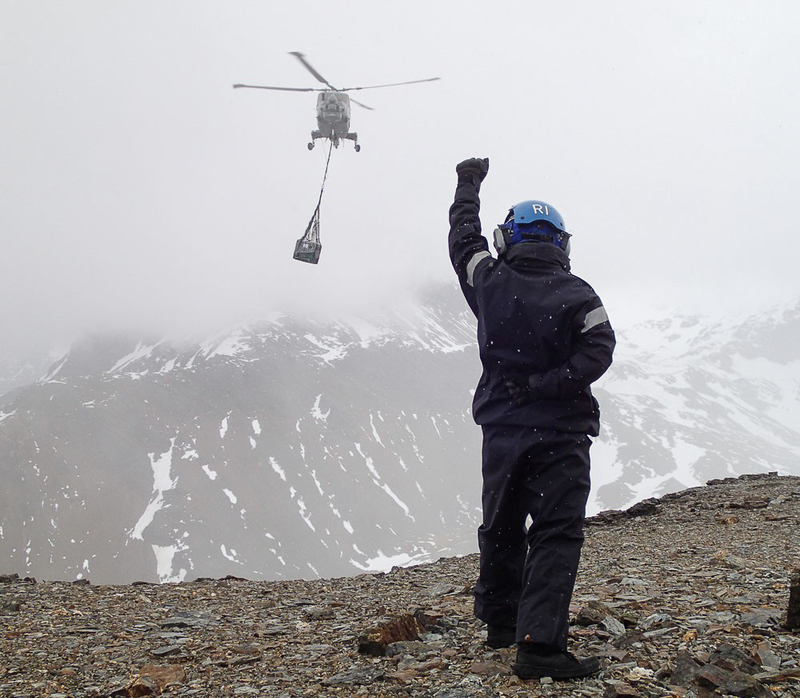 A Lynx helicopter from the HMS Edinburgh airlifts the GNSS station hardware to the top of Brown Mountain. Photo credit: British Antarctic Survey / HMS Edinburgh. Figure 2. 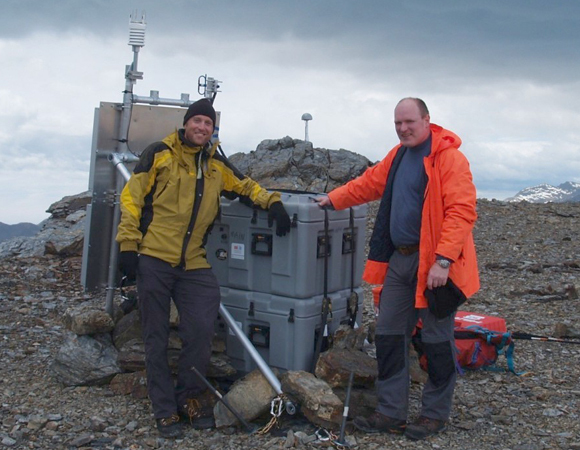 Seth White and Norman Teferle after finishing installation of GNSS station KEPA. Photo credit: Seth White. Figure 3. Location of station KEPA on Brown Mountain, as seen from KEP research station. Photo credit: British Antarctic Survey. The GNSS station will serve as a stable reference point for the leveling of a tide gauge at KEP, assist with densification of the International Terrestrial Reference Frame and reduce the imbalance in the number of stations between northern and southern hemispheres, constrain present-day tectonic motion in the Scotia Arc, and establish a water vapor record for South Georgia. It will also help determine if South Georgia Island itself is a micro-plate lying between the Scotia and South American plates.